My son’s next door neighbor sold his house in two days. I saw the for sale sign, and it wasn’t long after that I noticed it was gone. I asked my son if his neighbor changed his mind? He said “no” his house sold. I thought to myself unbelievable! His neighbor’s house proved to me that the housing market had come back to life. My son told me that his neighbor painted the exterior of the home and the front door. Trimmed all the shrubs and removed all the dead limbs. Along with replacing a few light fixtures. He also added that he upgraded his thermostat and smoke detectors to new smart home systems. I learned from my research that new home buyers want pre-installed smart home products. The latest smart home survey (Coldwell Banker) concurs that over 77 percent want smart thermostats, over 75 percent want smart smoke detectors, 66 percent want smart home security cameras, 63 percent with their new home had a smart lock. The smart devices mentioned above are just the beginning of what home buyers are looking for in their new home. For the seller, all these smart devices can be the tipping point to make your home stand out from every other house. Also, the seller can add all these smart home products for around a thousand dollars. Moreover, most can be installed by the seller over a weekend. And will maybe help speed up the process of the sale. I hope I tweaked your curiosity a bit about installing smart home gadgets. 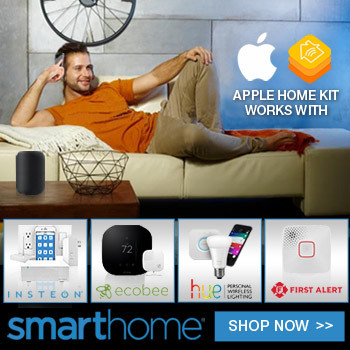 But what if you’re not selling your home and you still want smart home products. Did you know that your utility company might have rebates for these smart devices? The rebates offered by your current utility and insurance companies may help with offsetting the cost. You are more likely to find these discounts and rebates with the larger companies. To find out go to their websites or call them directly to find out what are the discounts available to you. By contacting your providers will give you an idea of how much you can save, here are a few that I found. 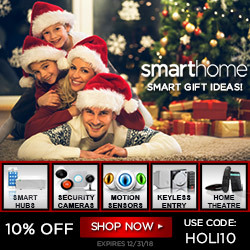 Pacific Gas & Electric, Southern California Edison, Florida Power and Light, Consolidated Edison and Georgia Power offer discounts or a rebate on smart thermostats and savings on smart light bulbs. Some Utility companies offer a program you can join called demand response. A demand response program is when you permit the Utility company to control your smart thermostat up or down. Helping reduce the utility company electric demand on your electrical grid. By granting them, permission the power companies reward you with an additional rebate or an annual discount on your power bill. Of course, you will still have the option of over-riding the setback, but it might affect your deduction. Two of the power companies, Southern California Edison’s program offers a $125 off your power bill for buying a smart thermostat and participating in the demand response. Also, a $60 in credits if you continue each year after that. Moreover, Consolidated Edison that serves New York City and Westchester County program offers a one time rebate of $85 when you join their two-year plan. Consolidated Edison motivates a consumer to use smart energy efficient light bulbs. Smart bulbs function by connecting to the internet, letting you control automated timers, remote control, and by using your voice via digital assistants. Insurance companies discounts fall into two categories. One category is on the renter's or homeowner's insurance for installing the smart home devices. 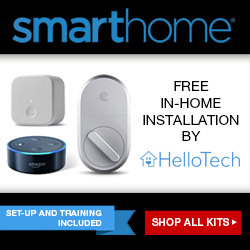 Or a premium break on smart home equipment and related services. Two forms of discounts for insurers. A rebate for installing the smart devices whether you are a renter or a homeowner. Or a price discount on the smart product itself or related services. There are insurance companies that do offer both. An example would be security cameras. State Farm offers rewards towards security cameras. In the form of a $20 Visa gift card for a Canary security camera starter kit and another $20 off a one-year (Canary Membership) cloud storage plan. Wireless security cameras do store footage on remote servers, but they have limitations. You might want to look into a storage subscription if you need to store several months of video footage. A renter may receive up to seven percent reduction in their insurance. And homeowners up to two percent on their policy. Moreover, a professionally installed ADT security system State Farm also has discounts for those policyholders. Realize that you may qualify for discounts and rebates from Utility and Insurance companies. Most of the major companies offer discounts for smart thermostats, smart locks, smart smoke detectors, security cameras and other protection devices. Comparing all the renovations, you can do to your home to increase its value. Adding smart home automation is a relatively small investment. To reap big rewards when showing it to prospective buyers. You are spending approximately ($900-$1000) one percent of the average homes selling price. Moreover, there are specific eligibility standards to reap the rewards that vary from State to State. It is an incentive for you to contact your providers. To find out which discounts and rebates might apply to your particular situation. With a result of keeping you and your family safe, upgrading to a more energy efficient home. Also, save some money! 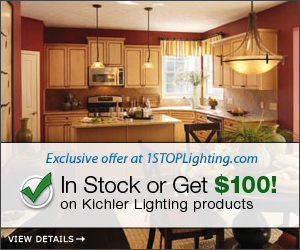 Browse Smart Home Products, and Lighting Specials found on the menu Do LEDs Save Energy Sale Page Today! You can also see a list of monthly specials. Do you know of someone who might benefit from this article please "SHARE"? Please click the "LIKE" Button if you enjoyed reading this post. And please leave your questions or a Comment below.